… is next next Monday, the 23rd. I went new year shopping with my mother today, part 1. 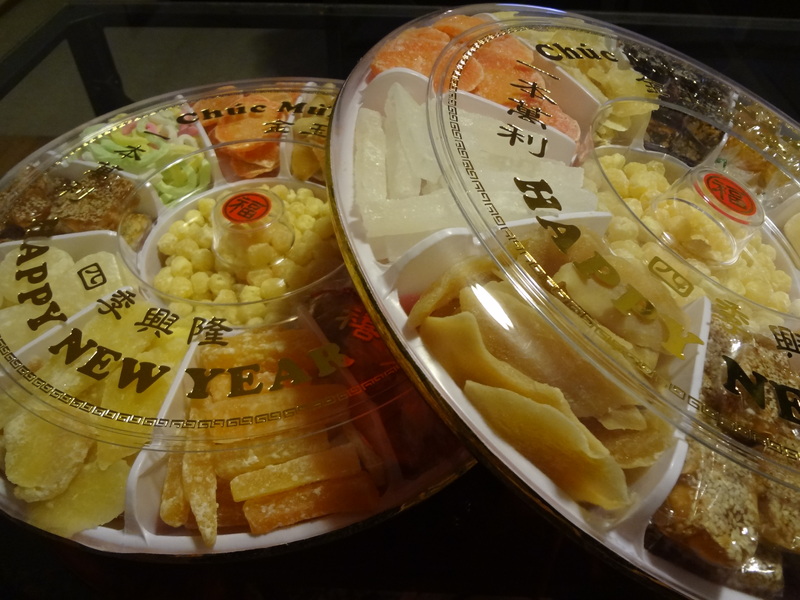 These are the pre-packaged trays of dried candied fruits that are eaten during new year. More new year preparation pictures in the coming week. Cheers!